Benefiting surgeons and medical engineers worldwide, ORTHObones are the highest quality artificial bones on the market. Resembling genuine human bones in terms of rigidity, density and lifelike structure, ORTHObonesare the closest you can get to the real thing. These realistic bones are constructed to simulate the two distinct layers of real human bones ; the hard outer cortical shell and the softer inner cancellous bone. The excellent biomechanical characteristics make these bones an exceptional value! 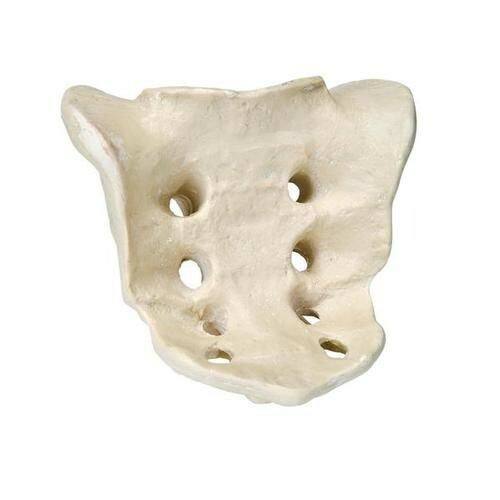 The sacrum bone can be used to demonstrate corrective procedures used on sacral fractures. Medical devices can also be implanted for demonstration and patient education.